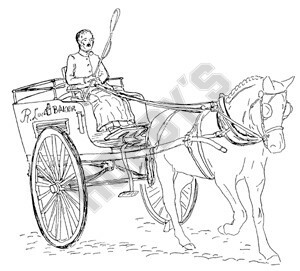 Carts of this style with ventilated bodies were used by bakers,butchers, and fishmongers for their deliveries in prosperous districts. They were built and finished in nearly the same standards as private traps. The body is dark blue,with mahogany louvres and brass fittings. Also available in 1/8th scale JT56A.